e! Eclectic Apparel | The Ego Co.
Howdy partnerinos! How are things shaking? The Summer Harvest Hunt has begun! It’s September 1, 2012 at 12pm SLT! You know what that means? 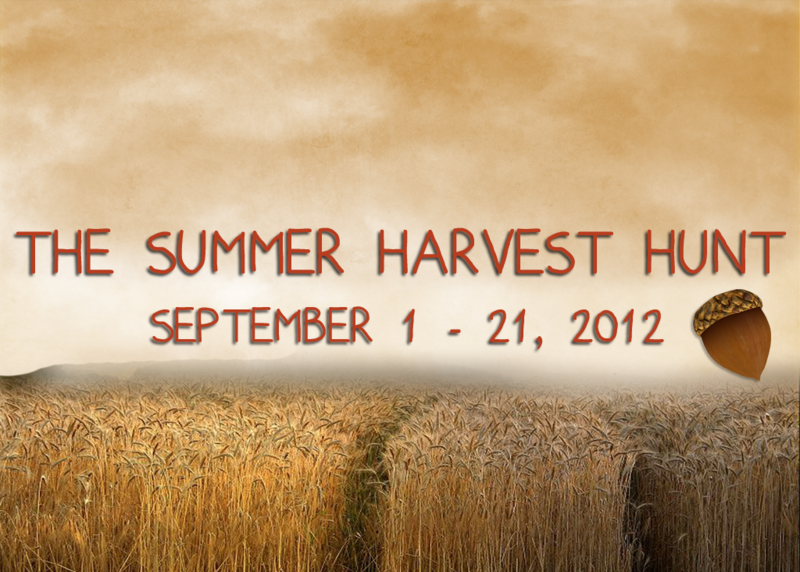 That’s right, The Summer Harvest Hunt has officially begun! Your hint list and a picture gallery of many hunt gifts are below! Happy Hunting! Think I’ll take a break from hunting and read for a bit. If this window bar wasn’t blocking it, I could see the waterfall. The bunny holds your gift. Look for a pretty mannequin. Things are looking up this early autumn. Acorns come from trees, of course, and Trompe Loeil has a colorful mesh arbor with acorns scattered across the ground…find the special one next to our exclusive Stone Slab Bench on display! Where the green fern grows. We can all use a lil help sometimes. Summer is almost over, but you can still party til you pass out. Between the dots the red arow shows you the way. I love to land on your nose or flower petals. Between the birds, Between the wings, hidden, what you seek. Look out for dust bunnies under here. I am Holy; The Mighty. Powerful, wise and non-violent. There is dust on these unused boards. Heading south, on the wings of a bird. It’s not quite a tree, but it will do! Slap the ORANGE hintgiver at the landing point! Best not sit on me. Careful not to squish me! Cash, Money, Quid, Dosh, Yen, Koku. I love my denim overalls. Oh, look..a whole room full of mesh! Empire waist dresses are so in this season. I can’t reach, even on my tiptoes. John Lennon holds your hunt gift. Quick! The mole is trying to bury it! That acorn fell right into my cleavage. I’m wet…someone threw water on me! That acorn seems to have rolled right into a meshy corner. Did you peek behind the gold top? It must be on that bloody fountain. Oh nooo, we have a leaking pipe in the store! Don’t let your neck get cold. I nearly tripped over this while looking at Urmila. I need to dust off these shelves. Under the table & dreaming.